Yggdrasil excels yet again in their production of the 5 reel and 10 payline slot - Wicked Circus. The game is filled with scary-looking clowns as well as some classic fruit, 7s and Bell symbols, all underneath an ancient big-top tent. Yggdrasil excels yet again in their production of the 5 reel and 10 payline slot - Wicked Circus. The online slot is part of a series of slots that were produced by Yggdrasil, all which have a similar setup. The game is filled with scary-looking clowns as well as some classic fruit, 7s and Bell symbols, all underneath an ancient big-top tent. Wicked Circus features a creepy soundtrack to accompany the eerie feel. Despite this game being one of Yggdrasil’s simpler games, the graphics have a 3D quality that adds to the high quality of the game. The star of Wicked Circus online slot is undoubtedly the Joker symbol, which unlocks all the bonus features in the game. He may seem a bit scary, but he will definitely grow on you when you realise how he can help you in the game. The other symbols up for grabs don’t have any special features, and there is no Wild to speak of, but they pay out well and are sure to keep you spinning. Any winnings you make in the base game are automatically transferred to the Jokerizer balance, which you can easily spot above the reels. At any time you can choose to play in Jokerizer mode, which costs a flat 20 coins per spin. Alternatively you can choose to collect your winnings. If you happen to land Jokers in the Jokerizer round, you will be greatly rewarded. Your betting stake will determine the amount you win when you land these sought-after Joker symbols. 2 Jokers award you with between 40 and 400 coins. 3 Jokers ups the ante by awarding you with anywhere between 500 and 1000 coins. 4 Jokers grants you winnings of 800 coins to 1000 coins and the maximum 5 Jokers gives you a massive total of 2000-6000 coins, with 6000 coins being the game’s jackpot. If you win 500 coins or more, you are returned to the base game. The ‘Hold’ option is enabled when you land at least 2 Jokers in Jokerizer mode. The option allows you to hold the reels that contain the Jokers, pushing them over into your next spin These will cost 60 coins (triple the usual cost but with guaranteed reward). Alternatively you can opt out and continue your game as usual. 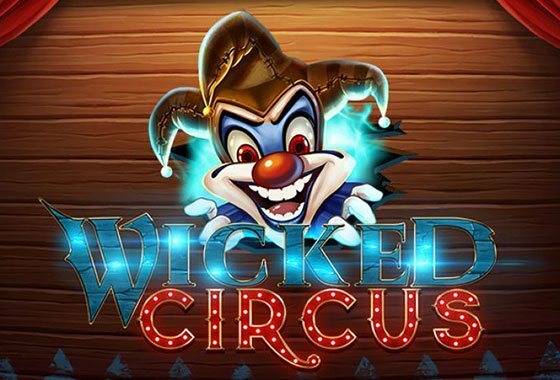 As with almost all Yggdrasil games, Wicked Circus is designed to be played on PCs, tablets and mobile devices. The slot machine is compatible with both Android and iOS devices. This makes it the perfect game for players with a busy schedule and who want to play on a variety of devices.